Returning back to Eastern & Oriental Hotel, I, trust me, I was still fuming. How can I possibly not be? Remember, I told you about my spa disaster in Deluxcious spa? My anger thermometer almost raptured, I just couldn't keep my big fat mouth shut. I had spill all of it to my other half-half, who was still dazed after his sleeping beauty sleep. He in return just smiled, what else can he do anyway, later, we got down to deciding where dinner should be (Coffee Lane Cafe). Restaurants, classy expensive eateries? Neh. What for? We thought we might as well walk the streets, and if we find something, we will decide there and then. And, so we walk, a long walk actually. 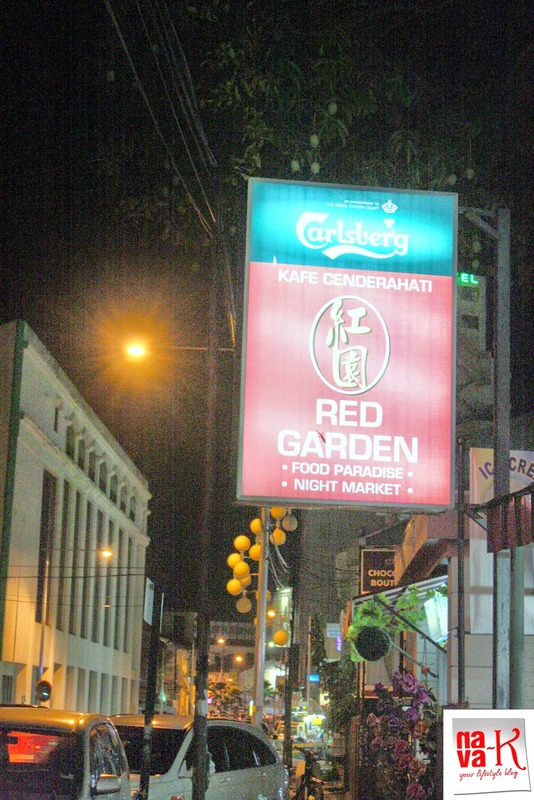 All the way from the hotel, while looking out for eateries, eventually, once we noticed Red Garden's signboard, we had to decide. 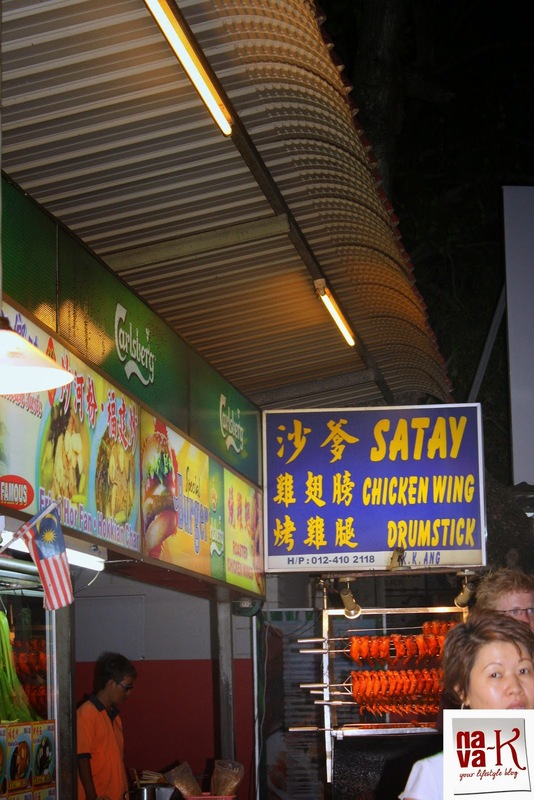 How about dinner in this hawker paradise? Sure. I was in for it. Grabbing a table beforehand, once we took a good turnaround, we realise that Red Garden Food Paradise is akin an international food court. 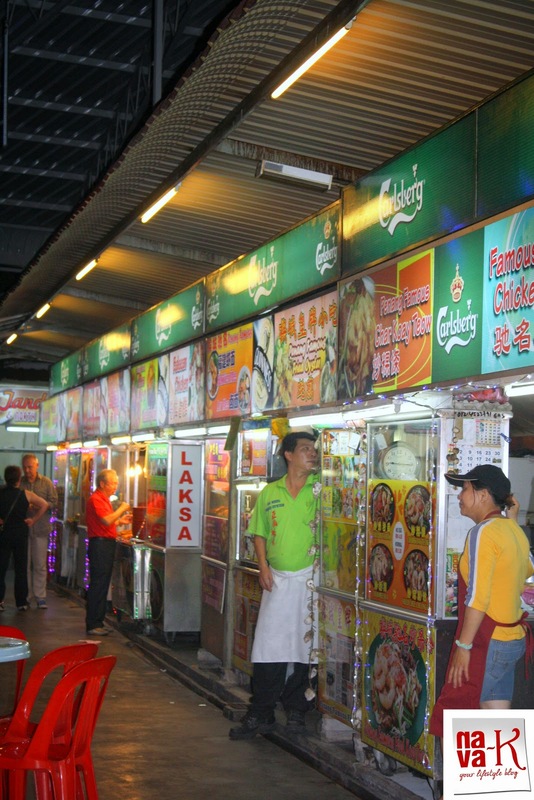 Row by row hawker stalls, featuring all sorts of food, all sorts mind you. 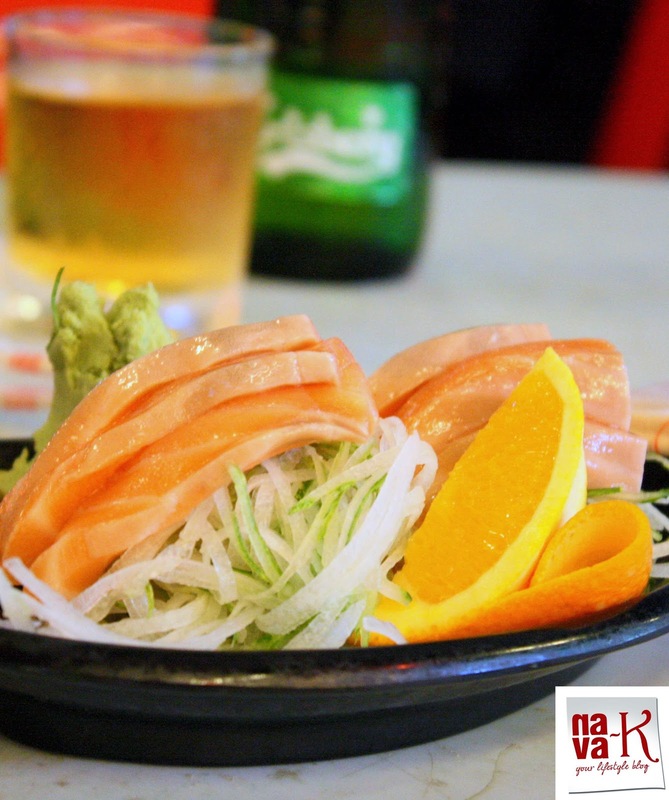 Not only local cuisines, you name it, Japanese,Thai, Korean, Western and what not. 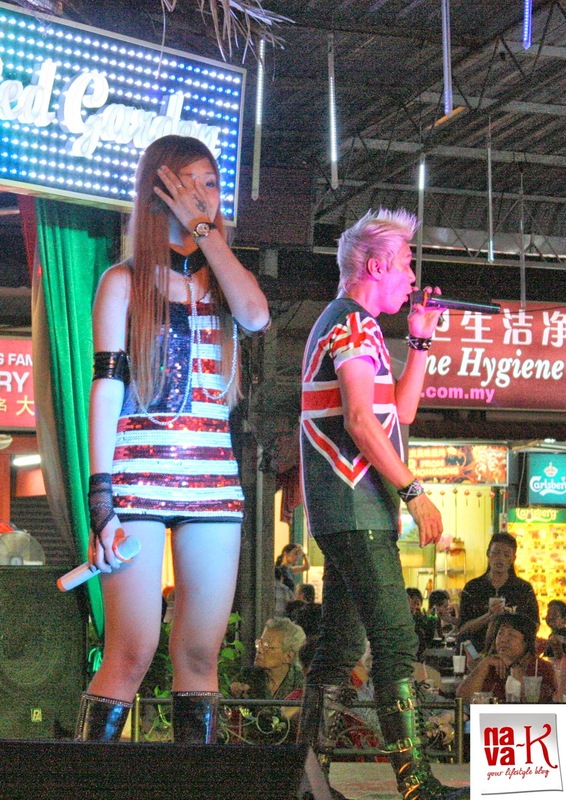 Quite a huge choice, indeed, thrown in with free entertainment from the three piece band. 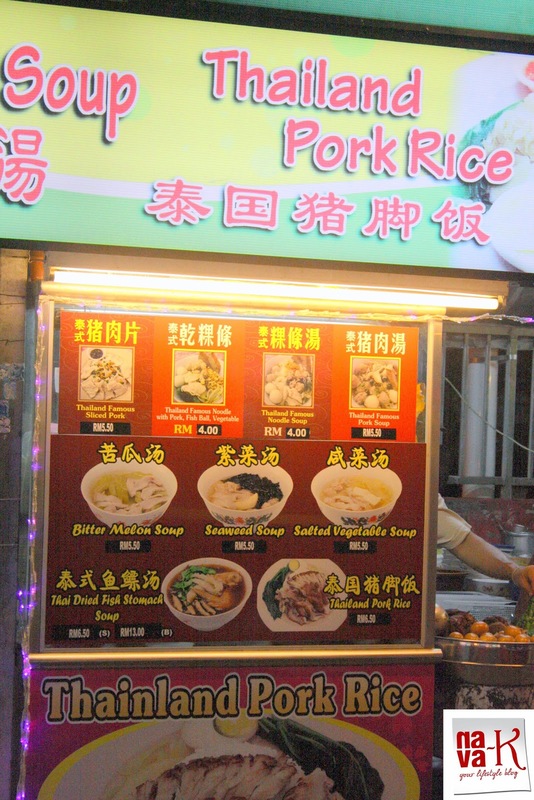 A different food concept compared to Gurney Drive where, after ordering, you either return again or wait, prior to paying and collecting your food and drinks. 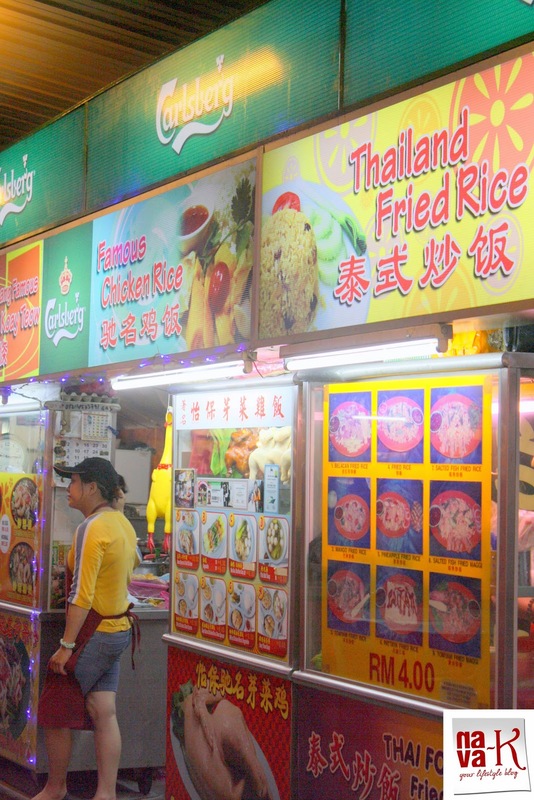 In Red Garden Food Paradise, order at the stalls, return to your table and the rest is assured. You will be served, pay and tuck into your meal. We waited maybe for like less than 10 minutes for Salmon Sashimi, Grilled Stingray/Ikan Pari, English Platter and Carlsberg big bottle. Fresh, oh yes, really, fresh salmon pieces cushioned over julienne Japanese radish and cucumber, and orange segments, wasabi and soy sauce, salmon sashimi was a joy for our dinner delight. Delightfullness. Absolutely. Utterly. You can happily tuck in without giving too hoots to calories, as if ordered from an high end Japanese restaurant. We so loved salmon sashimi. Worth mentioning is also grilled ikan pari (stingray), paired alongside a "power ranger" belacan chilli dip. 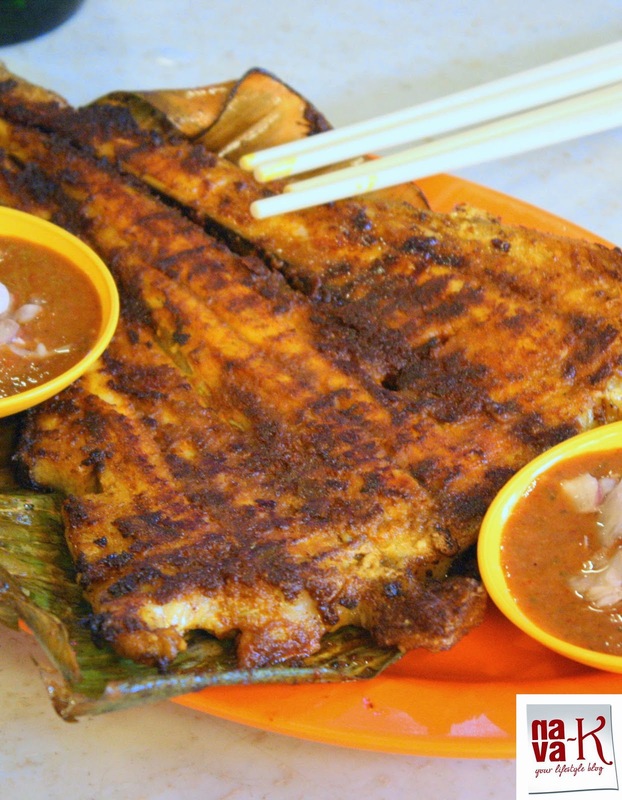 Charred and crispy fish grilled in banana leaf, when eaten with the dip, what more can I say? Deliciousness. Whacking and waking up our taste buds instantly. The English platter we tackled thereafter was a hearty portion. Grilled lamb, toast, baked beans, fresh salad, teamed alongside mayonnaise and chilli sauce. Another sensational dish, we couldn't agree more. 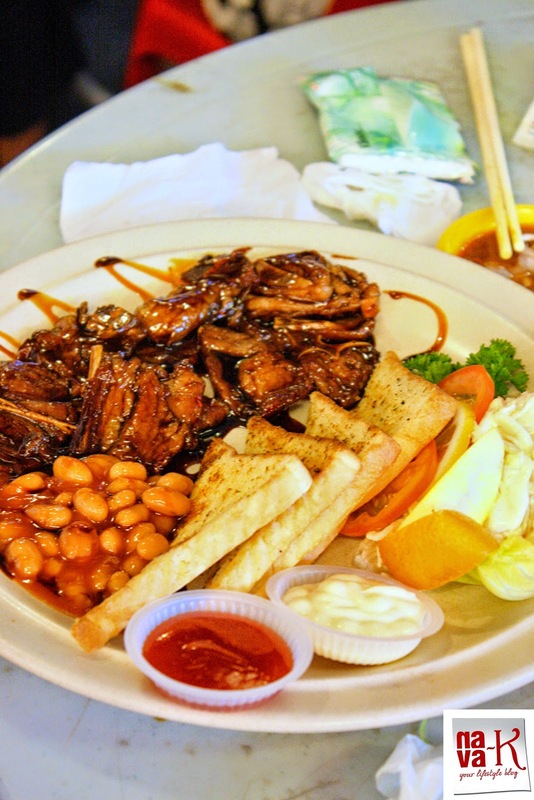 Yum-oh-so-yum, tender and chewable lamb, which by far captured the essence to English platter. Meal washed down with Carlsberg, we waited for a while for food to digest, prior to leisurely walking back to the hotel. Decent crowd, nice ambiance, free music, though I can't say that its cheap, Red Garden seemingly is a food paradise. Trend alongside "nava-k", possibly on every other social media please. Your support is my success. Thank you everyone. Wonderful place to hang out and the food pictures look so good!!! Craving for some fresh fish here...u are tempting me Nava ! Nice you hear you had a lovely time this time! Made up for the spa! Gosh, how could I have missed this delicious post! 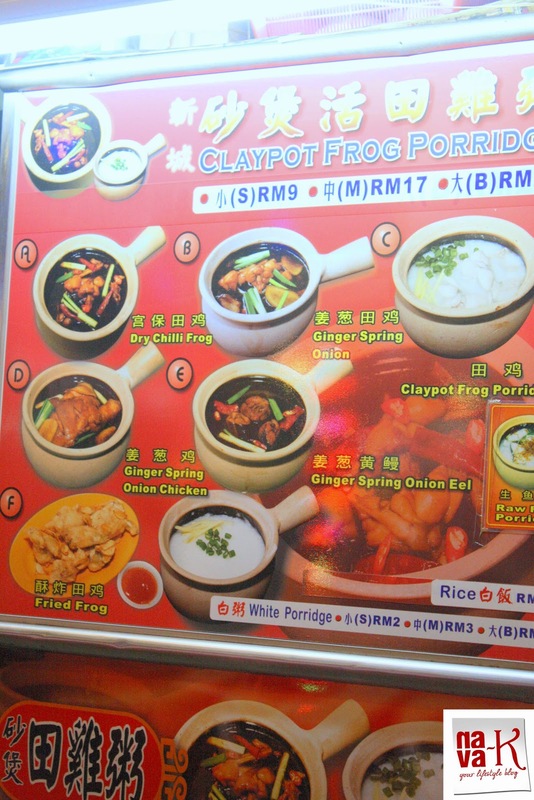 I wanna try the claypot frog leg porridge! Looks like a nice and clean place. 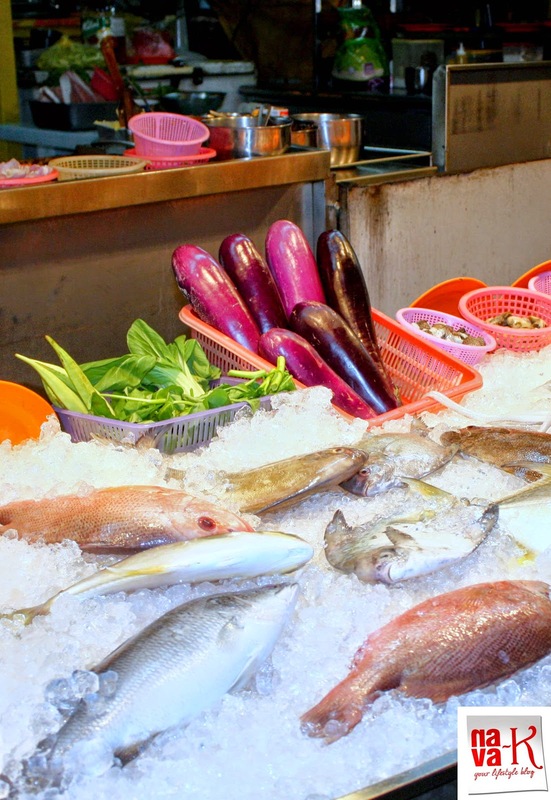 I like purchasing fresh fish this place will be a place I will shop at if I lived there.